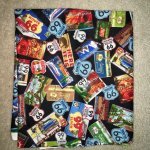 Perfect for adding that extra touch to your Memory Quilt that has some travel or old car memories in it. 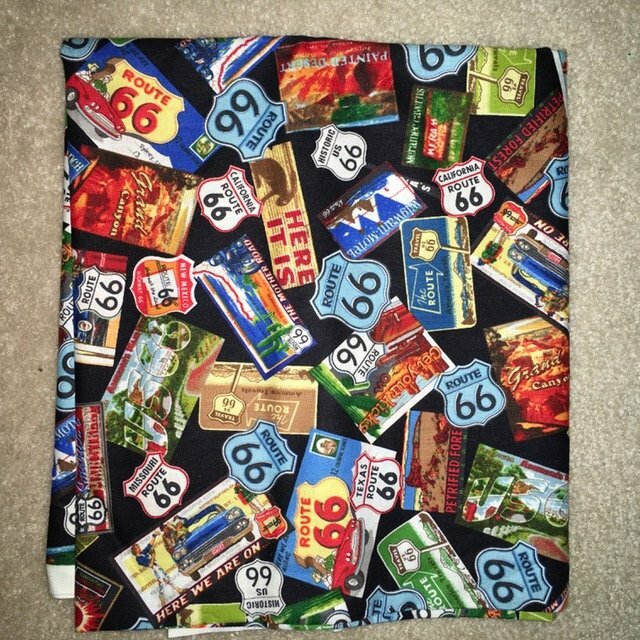 1 yard cut of cotton print Road Trip USA designed by Kate Ward Thacker for Robert Kaufman fabrics. 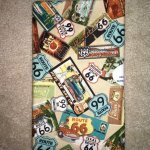 Features various Route 66 road and location signs (such as the Grand Canyon, Petrified Forest, and Meramec Caverns).